1. Download the USBAdvance Tutorial File Pack. (Ignore if you downloaded it in last tutorial), and extract the folder USB EXtreme to you desktop. 4. Open up the USB EXTREME tool on your compute. 5. Select your Disc Drive the PS2 game is in, Media type (most are DVD’s) and your USB/Flash drive. 6. Now you can name the game and hit start. 7. There you have it a properly copied game to your HDD, just pop it in your PS3 and follow step 8 from above. 1. Download USButil located here. 2. Format your external drive/usb drive to FAT/FAT16/FAT32 format. 3. In the download pack you downloaded there should be a folder called USBUtil, go inside that and run the EXE. 4. Go to FILE and click on “OPEN ISO to create game”. 5. Search and click on your PS2 backup, and click CREATE. Q: Does this work on my 40gb/80gb PAL/NTSC/JAP System? And will it ever? A: No. No. No. No. No. No method has been released yet for these systems and unsure when in future. Q: Does this work on PAL PS3’s? Q: But my PS3 is backwards compatible, why doesn’t this work? A: It does not work with SOFTWARE EMULATION (which is what your PS3 most likely has). If its not a “launch unit” it will NOT WORK RIGHT NOW. Q: How do I know if my unit is a LAUNCH UNIT? Q: Does this work on NTSC PS3’s? A: Yes – launch units only. Q: What PS3’s can use this method of PS3’s? Q: Will it work on a PS3 with no Emotion Engine? Q: Does this boot from PS3 internal HDD? A: No you need a external. Q: What version of SWAP MAGIC do I need? Q: Where can I buy Swap Magic? A: It is probably not compatible, buy another one. This is a tutorial on how to boot Playstation 2 ISO’s on the PS3 via external HDD. The original founder of this method was ifcaro, this tutorial is a step-by-step method on how to get PS2 ISO’s to run on your PS3. Original thread can be viewed here. PS3Hax takes no responsibility of damage caused to your PS3 through this method, and all information here is for informational/educational purposes only. * Swap Magic 3.6+/3.8(Purchase here or here) (Must be actual copy,burned copies do NOT work). * Launch PS3 (20/60gb) – NTSC/Japanese (Must have emotion engine, only launch PS3’s had this). * Flash Drive (PSP in USB MODE will also work). If you are a Japenesee PS3 user you need to rename the folder BADATA-SYSTEM to BIDATA-SYSTEM -This guide will assume you are a USA user and call the folder “BADATA-SYSTEM” in the download pack. 1. Download the USBAdvance Tutorial File Pack. 2. Extract the contents of the folder USBADVANCE to the root of your flash drive/PSP. 3. Boot up SWAPMAGIC and once loaded into the menu screen, people who are using swapmagic v3.6 press UP (on D-Pad)+L2 on your PS3 controller to browse through your flash drive. People that are using Swapmagic v3.8 go to the SMBOOT menu and select uLaunch from there. In the pack provided uLaunch is SMBOOT1. Go to configure, select any button you want (I usually use X or O), go to MISC and select FILEBROWSER binding it to the selected button, go down and hit ok. Now go to the browser. (Props to Crono for telling us how to use v3.8 Swapmagic). If you are unable to view your flash drive, then it is not compatible (use another one). 4. Copy the BADATA-SYSTEM folder and USBLD_01.ELF file to your Virtual Memory Card (on PS3). 5. Go inside BADATA-SYSTEM folder and cut/move the Pictures and SWAPMAGIC folder to ROOT the Virtual Memory Card. 6. Remove your FLASH DRIVE, press the PS button and quit the game and go back to XMB and launch swap magic. 7. At this point you should move the Playstation 2 ISO’s of your choice to your external HDD/flash drive. You need to have them properly formmated and copied over via USBExtreme or USBUtil (is included in file you downloaded above). If you are not sure how to do this, there is a quick tutorial that guides you through the process. Make sure your USB/Flash drive is plugged into your PS3. 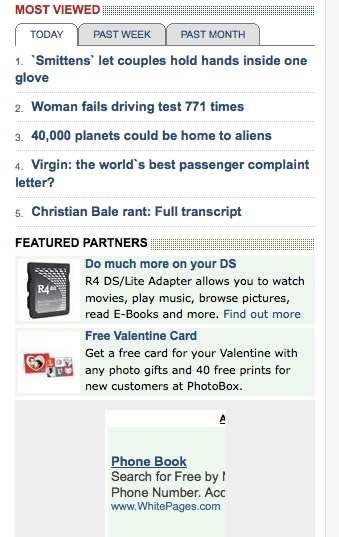 Currently at the Telegraph.co.uk there is a static advert for the R4 which indicates it is a ‘featured partner’. It’s a bit of a surprise to see such endorsement for this product which is heavily criticised in the mainstream media. Note: if you have plugins enabled, disable them before running installer. CFW Folder Blocker v1.0 in concrete is known to cause problems with leda installer.